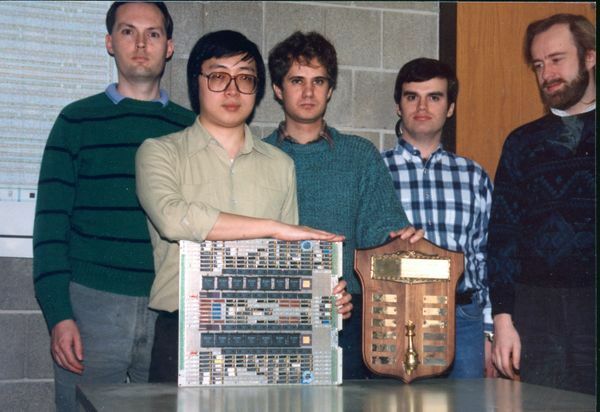 was a computer chess machine built at Carnegie Mellon University in the 1980's, the predecessor to Deep Blue. 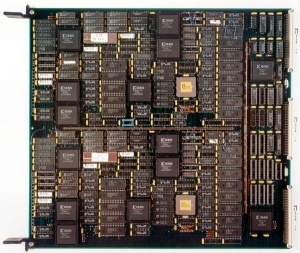 The project was initially started 1985 as ChipTest by the computer science doctoral students Feng-hsiung Hsu and Thomas Anantharaman. Murray Campbell, former co-developer of HiTech, joined the ChipTest team a few month later - followed by Andreas Nowatzyk, Mike Browne and Peter Jansen. The program was named Deep Thought after the fictional computer of the same name  . Source code to tune Deep Thought's evaluation in tar.gz format. This page was last edited on 6 December 2018, at 09:15.